The Charles Previn papers span the years 1906-1956 (bulk 1934-1949) and encompass 1.0 linear foot. The collection contains partial conductor scores from a handful of his Universal films, including "First Love" (1939), "The Flame of New Orleans" (1941), "Mad About Music" (1938), "My Man Godfrey" (1936), "100 Men and a Girl" (1937), "Spring Parade" (1940), "Three Smart Girls" (1936), "Three Smart Girls Grow Up" (1939), and "Wives Under Suspicion" (1938). The only non-Universal music is for voice and piano from "That Midnight Kiss." There are a few pieces of published sheet music. A fine assortment of Previn's published and unpublished non-film-music manuscripts is also in the collection. Three scrapbooks are rich in material relating to Previn's college days at Cornell, his radio career, and his years with Radio City Music Hall. Noncommercial disc recordings for scores presumably conducted by Previn include "Arabian Nights" (1942), "The Boys from Syracuse" (1940), "100 Men and a Girl," "Rage of Paris" (1938), "The Road Back" (1937), "Saboteur" (1942), and "Seven Sinners" (1940). Charles Previn (1888-1973) was born in Brooklyn, New York, and educated at Brooklyn High School, Cornell University (bachelor's degree), New York College of Music (master's degree), and Ithaca Conservatory of Music (honorary doctorate in 1947). Previn worked as a musician and conductor in vaudeville and musical comedy and later became conductor of the St. Louis Municipal Opera. Previn was conductor on the NBC radio series "Silken Strings" from 1934 through 1936. In 1936 he joined Universal as musical director, arranger, composer, and conductor. After leaving the studio in 1944, Previn worked on a number of independent productions and was musical director on at least one MGM feature, "Two Sisters from Boston" (1946). 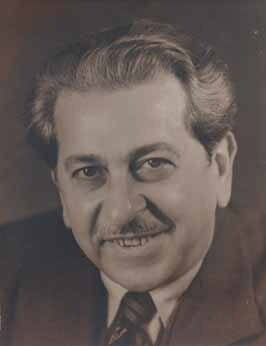 In 1945 he succeeded Erno Rapée as music director of Radio City Music Hall, a position he held until 1947. Previn returned to Hollywood and worked for Eagle-Lion and MGM. He conducted the score for "Hollow Triumph" (1948) and was music director for "That Midnight Kiss" (1949) before his retirement. Previn was nominated for seven Academy Awards and received an Oscar for music (scoring) as head of the Universal Music Department for "100 Men and a Girl" (1937).